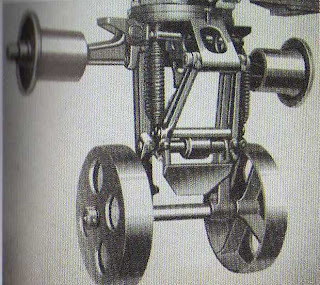 Scammell automatic couplings were used by several British truck manufacturers in the 50s and 60s. The tractor unit simply reversed under the semi-trailer and the landing gear folded up between the tractors chassis rails. It was then only necessary to connect wiring for the lights and brake lines if fitted. This is what the coupling looked like on the chassis of the tractor. This also shows the rails on the chassis which the trailer part of the system ran up to engage. 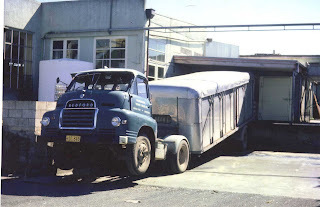 Town Milk in Masterton had Bedfords with Scammell couplings. 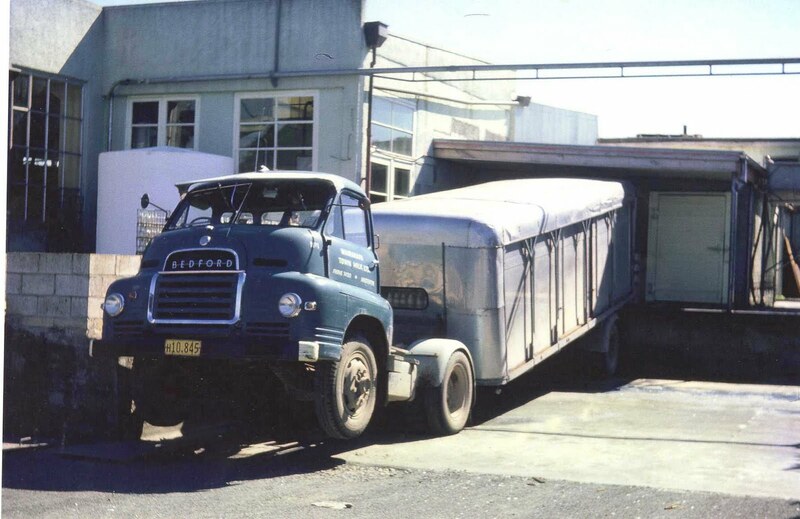 The S Bedford (petrol powered) in this photo was coupling up to a trailer full of glass bottled, wire crated milk when the truck stalled at the critical point, i.e.just as the landing wheels had folded up. The driver immediately hit the brakes, but finished up in this precarious position. Getting out of the predicament was a tricky exercise as large jacks or forklifts were not readily available in Masterton at this time (mid 60s). 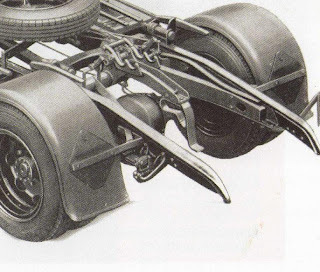 I used to drive Austin FF artics in the UK in the early 1960s which were fitted with Scammell couplings. It wasn't even necessary to manually connect up the lights and brakes as this was done automatically. The inly thing you had to do was apply the manually operated handbrake on the semi-trailer before dropping it and release it after you had picked a semi-trailer up.